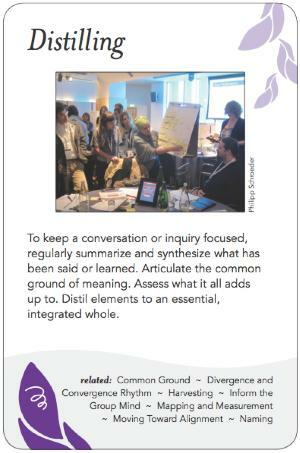 To keep a conversation or inquiry focused, regularly summarize and synthesize what has been said or learned. Articulate the common ground of meaning. Assess what it all adds up to. Distil elements to an essential, integrated whole.